A late birthday present I received from Lydia. I'm so touched that she wanted to get me a present for my birthday last year. She gave it to me when we met up at the end of February. 4. Birthday card with a cute message inside. 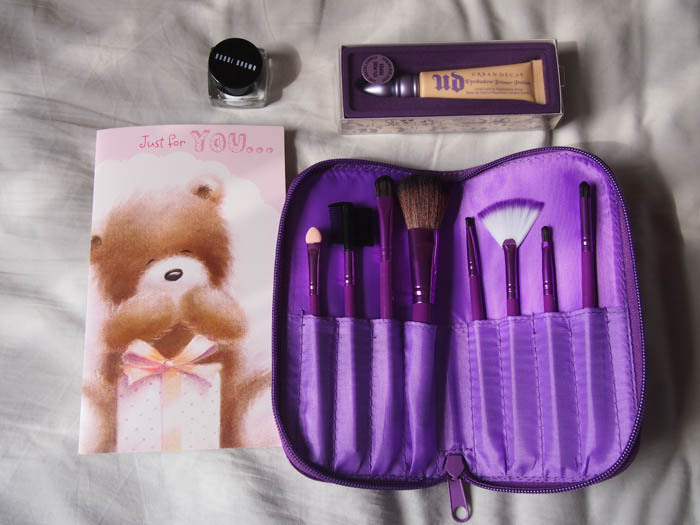 I am most excited about the brush set as I don't currently own many brushes except for a gel eyeliner brush a small eyeshadow brush. I would love a lip brush as well! Lydia said she got this as a present from her colleague and since she doesn't really wear makeup, she decided to pass it onto me.